COLUMBUS — Groups challenging Ohio’s system for removing inactive voters from rolls are disagreeing with the state elections chief’s arguments and the Trump administration’s contention that the purges are legal. The American Civil Liberties Union and the New York-based public advocacy group Demos said in their latest U.S. Supreme Court filing that targeting registered voters who fail to vote in a two-year period for eventual removal from the registration rolls, even if they haven’t moved and remain eligible, is a tool for voter suppression. The court agreed in May to accept Ohio’s appeal over whether its procedures violate the National Voter Registration Act. The Justice Department under Democratic President Barack Obama sided with the plaintiffs. The Trump administration reversed the government’s position last month and said the system is within the law. MONROE — Amazon has made it official: It plans to locate one of its fulfillment centers in the southwest Ohio city of Monroe, bringing more than 1,000 jobs. 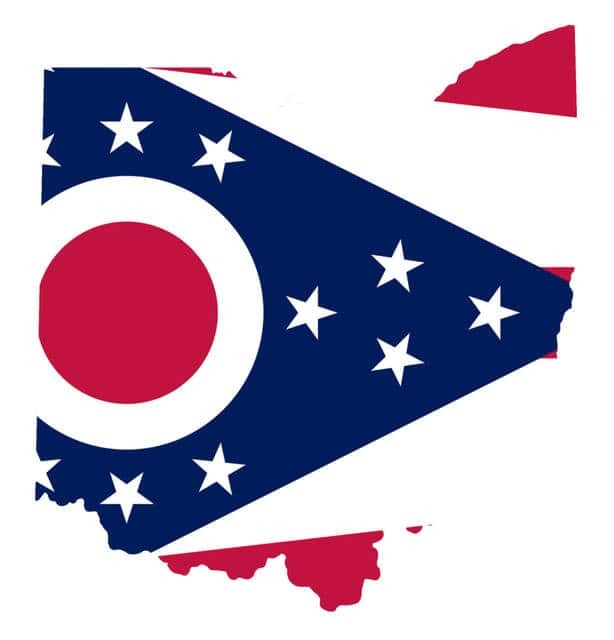 Ohio recently approved a 1.39 percent, 10-year tax credit for the project, along with a tax credit for a planned fulfillment center near Cleveland that could employ 2,000 people. The Seattle-based e-commerce giant says the Monroe center will add to more than 6,000 Amazon employees already in Ohio. It says associates at the 1-million-square-foot facility will pick, pack and ship larger customer items such as sports equipment, gardening tools and pet food. Amazon didn’t immediately respond to a request Monday for information on when the Monroe center will start hiring and become operational. Monroe has more than 13,000 residents along Interstate 75. COLUMBUS — Police say a 25-year-old man apparently killed a 22-year-old Ohio State University student at a Columbus apartment before fatally shooting himself. Police identified the man as Kyle Lafferty and the woman as Heather Campbell. Investigators believe they were in a relationship. Homicide detectives say their bodies were found by a concerned friend Sunday in an apartment north of campus. A university spokesman says Campbell was a psychology major from Strongsville. The school is making counselors available to students who need support. SPRINGFIELD — The state patrol says a is recovering from injuries suffered when the ultralight plane he was flying crashed during a landing attempt. The patrol says 46-year-old James Lewis of Springfield was taken to the Ohio State University medical center following the Sunday afternoon crash. The Ohio State Highway Patrol says Lewis was flying over a property to attempt a landing when he crashed. The patrol says Lewis missed the landing area and hit a fence. JEFFERSON — Police say a driver has died after hitting a dead horse and flipping his truck on an Ohio highway. The Ohio State Highway Patrol says 23-year-old Justin Alkire, of Niles, was driving in Ashtabula County on Sunday when he came upon a carcass in the road and tried to swerve around it. Police say he lost control, hitting the horse and flipping his truck onto its hood. Alkire died at the scene. Police say he was not wearing a seat belt. A 16-year-old passenger, who was wearing a seat belt, sustained minor injuries. Investigators have not determined how the horse came to be in the roadway. Police are investigating. FREMONT — Police say a 14-year-old Ohio boy was shot to death and a second 14-year-old boy is in custody, charged with the slaying. The shooting happened in Fremont Sunday afternoon. No names were released. Fremont police say the boy who was shot died on the way to the hospital. The boy in custody is at the Sandusky county Juvenile Detention Center. Police say the suspect is charged with involuntary manslaughter, tampering with evidence, obstructing official business and burglary. Police are calling the shooting an isolated incident with no continuing threats. LORAIN — Police say a man sitting on railroad tracks was struck and killed by a train. The accident happened in Lorain on Saturday afternoon. The Morning Journal reports an engineer on a Norfolk Southern train saw the man, sounded a horn and bells and tried unsuccessfully to stop. Police identified the victim as 46-year-old Kenneth Fox of Lorain. The railroad crossing was closed for about three hours during the investigation.